My most basic advice regarding live-baiting tackle for kingfish? Don’t bring a knife to a gunfight! 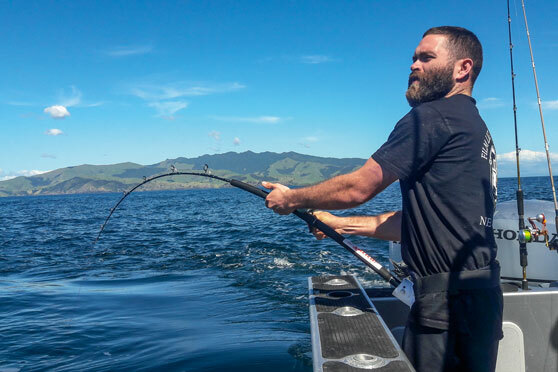 On Hauraki Express charters we use high quality jigging combos for live-baiting, as we tend to target pins and deep reefs, where the jigging gear is perfect for tough, straight up-and-down fights. Light or medium gamefishing gear works well, too. And if the fish are up higher in the water column, the stick-bait combos come into their own. In every case I find braid, with its non-stretch properties, helps set hooks well - but can result in harsh fights for inexperienced anglers, who feel every kingfish tail beat. 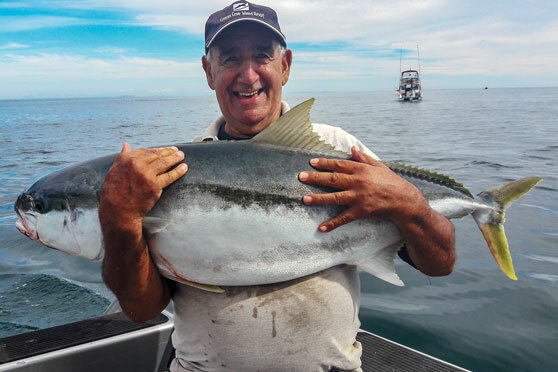 Although 24kg braid is ample for the lion’s share of Hauraki Gulf kingfish action, 37kg breaking strain provides some peace of mind when you hook the odd ‘donkey’. The terminal tackle is straightforward. I use about a metre of 60-100lb fluorocarbon trace, which is supposed to be harder for fish to see and is certainly more abrasionresistant than the equivalent strength monofilament trace. Sometimes I find a live bait on 60lb trace attracts more interest than one on a heavier trace – not surprising in Auckland’s hard-fished waters - although the lighter trace increases the chances of losing big fish. Personally, I would rather hook more fish then fight them more carefully, than hook fewer fish with a greater chance of success, but to each his own! On one end of the trace is a strong barrel swivel connected with a Uni knot; on the other is a non-offset circle hook with a decent barb to hold the bait on. I have an aversion to offset hooks, as they tend to double back into the bait, burying the hook point and usually killing the bait. I find the Mustad Demon Circle range to be very effective. Whatever brand of hook you choose, always match the hook size to the bait size, because overly big hooks look obvious and weigh the bait down, while those that are too small don’t hook up as effectively. With that in mind, I find the 8/0 being an appropriate size for your average mackerel or small kahawai live bait. A 4-8oz ball sinker completes the weighted Live-bait rig; I have mine running above the swivel on the braid-tofluorocarbon connection leader. This is my go-to rig for deepdropping and slow-trolling live baits. For surface live-baiting, it’s simply a matter of removing the ball sinker, attaching a balloon to the top-eye of the swivel with some dental floss, and extending the trace length to a couple of metres. If there is a strong current a balloon may not be required, as the bait will sit in the current behind the boat. I always pin my live baits through the nostrils, pushing the hook directly through one nostril to exit out the other. I find this reduces tangles when dropping or retrieving, as the baitfish are pulled head first so they swim more naturally. This also helps to ensure the baits stay alive for a decent period of time, and that the hook is in the right position when a kingfish swallows the bait head-first. Small nose-rigged live baits commonly rip-off on the bite - one reason why small live baits are not ideal. However, if you only have small live baits, try rigging two or three of them on the same hook – known as a double- or triple-whammy amongst my circle of fishing pals. We have discovered that the ‘whammy’ often gets the larger kings excited and sees at least one bait remain on the hook until a decent bite occurs. Another useful tactic involves bridle-rigging large live baits and slow trolling them. Bridlerigged baits are not as easily ripped off hooks. I generally treat kingfish live-baiting as a reasonably active form of fishing. I tend to target the gulf’s reefs and pinnacles in 20-50 metres of water. Upon seeing good sign, I hold the boat directly above it, then get my anglers to drop baits to the appropriate depth using metred, multi-coloured braid. I use the motor to stay in position, kicking it in and out of reverse and backing into the wind and/or current to keep the lines vertical. In this form of fishing I find patience is not a virtue, with regular shifts and repeated drops over baitfish and/or kingfish sign being the keys to success. Sometimes a live bait dropped 20m to the side of a kingfish school will not attract any attention, whereas one dropped right in the middle of them creates a feeding frenzy. 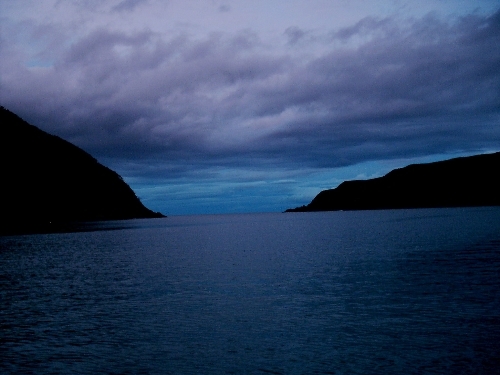 Slow-trolling is a great technique to implement if: fishing in shallower areas; kingfish are high in the water column; and/or you want to cover more ground. This type of fishing comes into its own during summer, when kings flood into the inner gulf and hang around the shallow reefs and marker buoys. Depending on your vessel, idling in forward gear is usually the right pace, as you want the live baits to keep up with the boat and be at the right depth. A good rule of thumb (on our vessels anyway!) is that an average mackerel trolled at idle speed with a 6oz ball sinker will sit at a depth of roughly half the length of line out. Again, multicoloured braid makes life easy. When deep-dropping and slow-trolling mackerel using circle hooks, I fish with the drag set at strike. When slow-trolling strikes occur, I put the motor in neutral to lessen the pressure that could rip the bait off the hooks. Rods are best held out perpendicular to the boat’s gunwales to prevent tangles with other lines or propellers. Kingfish interest will either be registered as several violent knocks on the end of the rod or one big hard pull if they simply inhale the bait. Patience is definitely a virtue when slow-trolling, because our target species can play with the bait for a painful amount of time. I tell my clients to just hold the rod steady until fully bent and line is peeling out. Exceptions to this rule are when the live bait is large or when surface live-baiting. Larger baits and surface strikes are more awkward for kingfish, so line needs to be fed out to give them time to turn and swallow the bait. Once a kingie is hooked, it will do its best to head back into the reef and bust you off. If the fish appears to be a decent one and the angler isn’t very experienced, I get the other anglers to bring their baits in, before steadily motoring the boat towards the relative safety of deeper water. Doing a few doughnuts at this stage can also help lift the fish for the angler and create a good fighting angle. 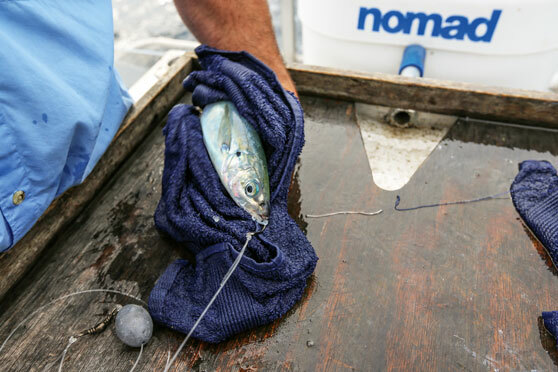 Short-stroking with a quick succession of small lifts and handle winds is very effective for turning the heads of stubborn kingfish and keeping them coming up. Once you near the endgame, be aware that kingfish often catch their second, third or fourth wind when they see the boat. Only use a gaff if the fish is obviously legal and you intend to keep it. Otherwise, grab the fish by the lower jaw (called a thumb lock) to get it onboard and/or unhooked. Gloves come in handy here if you want to avoid the notorious ‘kingfish rash’ on the outside of your thumb and fingers, caused by a mouth full of sandpaper-like teeth. 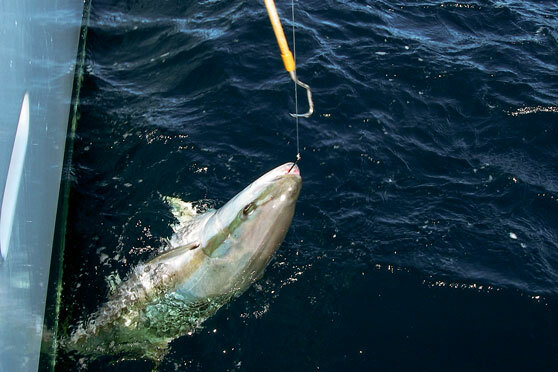 Finally, the recreational kingfish tagging programme has confirmed that kingies are a tough fish with a great survival rate from most depths, especially when hooked in the corner of the mouth on circle hooks. So if you already have a feed, take a quick photo and throw that beautiful fish back in the briny for another day!